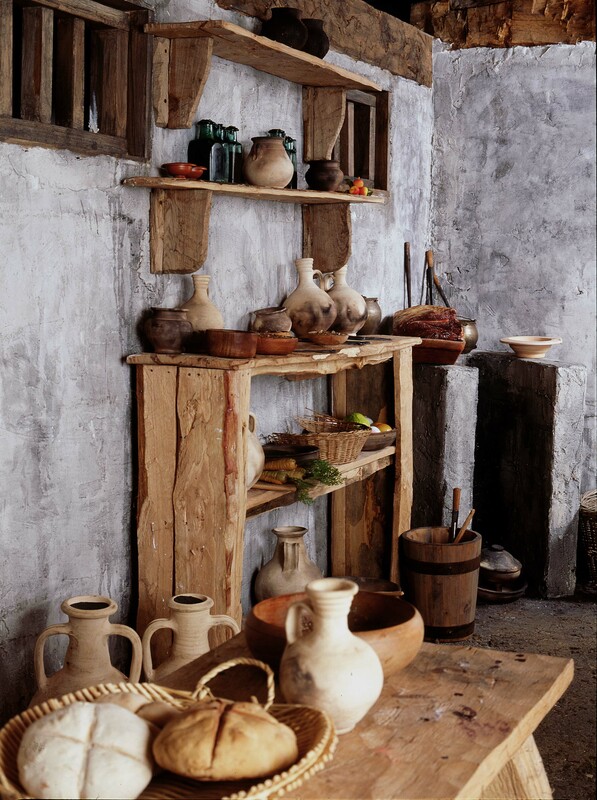 Everyone likes to have a good looking house and although tastes have changed, the Romans were no different. The stereotypical features of Roman luxury living, such as mosaic floors, hypocausts and marble columns, may not have furnished many homes, but one thing we do have quite a bit of is wall plaster. Roman wall plaster is made of a lime mortar mix that often has an off white or creamy colour. Two layers were added; the first a thick base layer that was allowed to dry for a number of days, and then a thin second coat. 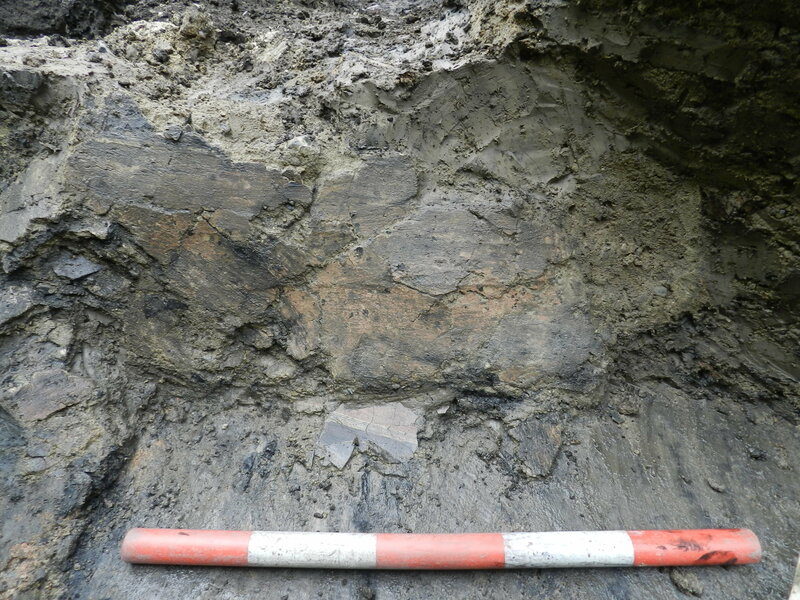 The second layer would only be applied on the day that it was to be painted, and the paint would be applied whilst the plaster was still wet. The most common colour for painted plaster is red, with most fragments only showing one colour. A number of pieces do have multiple colours, usually red, white and black. Most of the plaster we find, however, is unpainted, with small fragments surviving in large quantities in demolition rubble. Demolition material is the most common place to find plaster, but sometimes we are lucky enough to find it still in its original position. 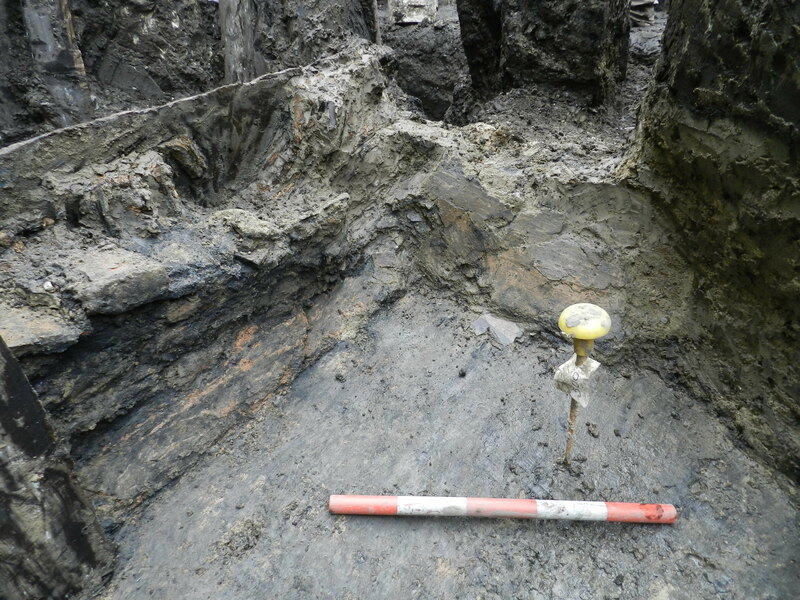 Here we have a large piece that has been applied directly to the timber base-plate of a Roman wall. 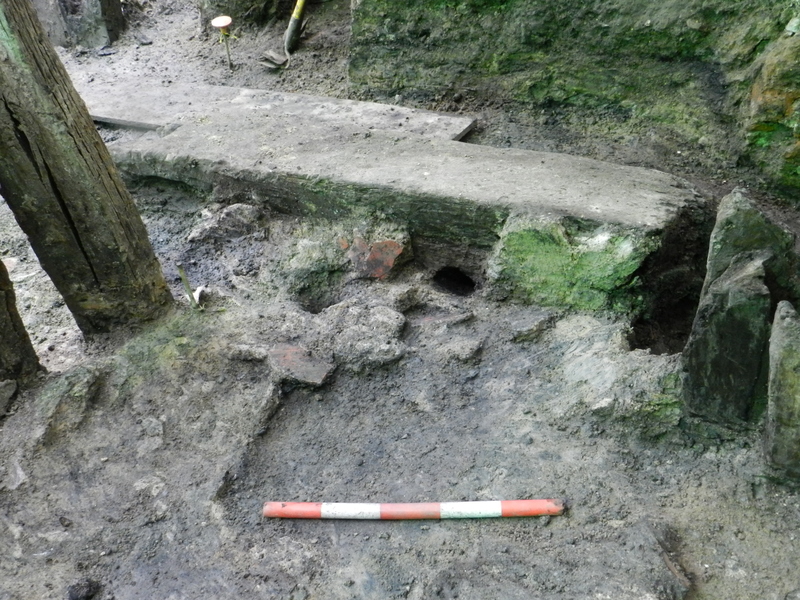 In the last week we have even found some wall plaster surviving on the face of clay walls! It’s not all abstract colours either; one recent find, currently being processed, had a leaf painted on it. It was found on a floor surface, next to the wall we think it fell from when the building was demolished. 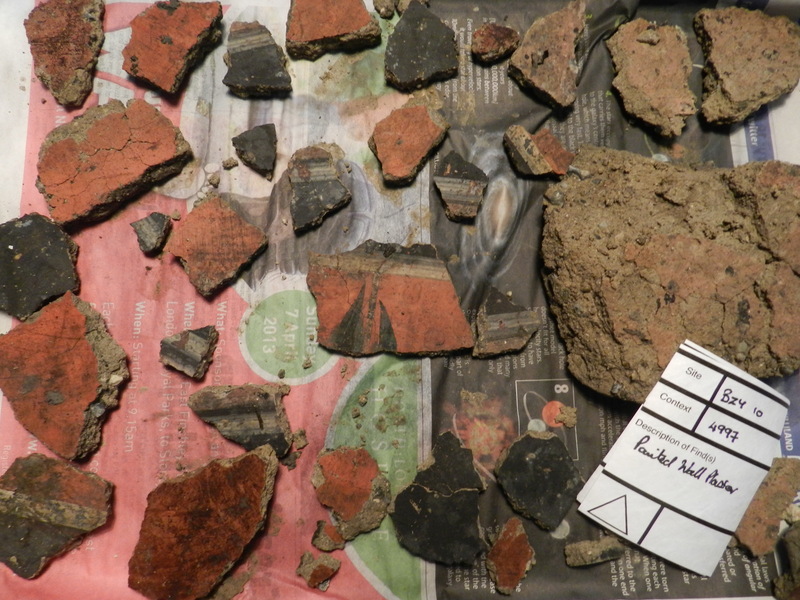 Elaborately decorated plaster has been found on other sites in Roman London, with Lime Street providing particularly beautiful examples. Fragments from that site were coloured in pinks and blues, with one depicting a bunch of grapes and another showing a goldfinch. Enough plaster has been found archaeologically that changing fashions can be tracked across time. In the 1st century AD the vogue was for simple designs in one or two colours, perhaps with border decoration. Later on in the 2nd century designs became more adventurous, with elaborate mythological scenes and detailed portraits of people. 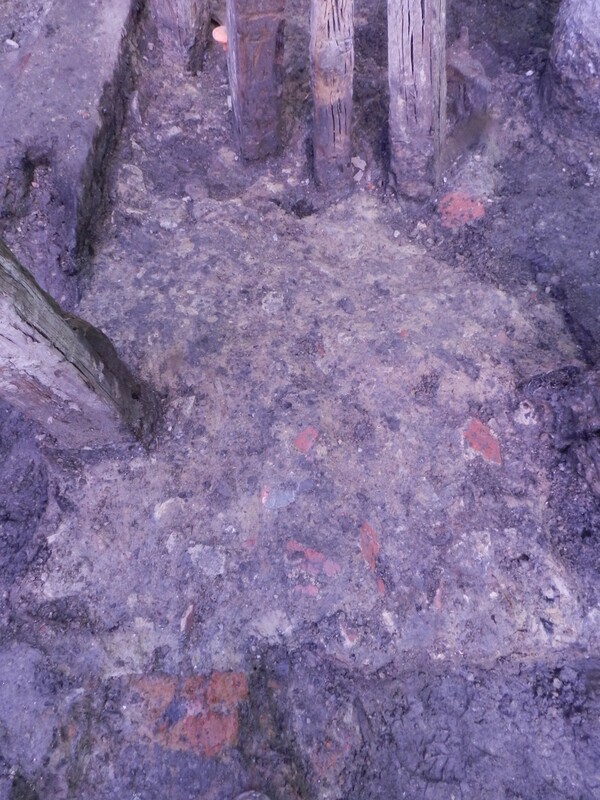 Not all roman buildings were plastered though; many would have had bare timbers filled in with planking or wattle.